How to Clean a Sewing Machine. Your sewing machine, like any other machine, requires regular maintenance in order to operate properly. 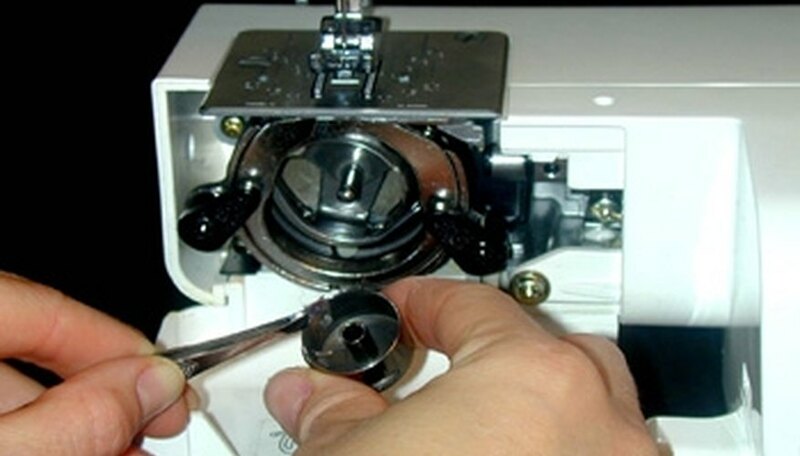 By following these simple steps after every 8 to 10 hours of machine use, you will help ensure your machine's longevity and will be able to better enjoy your sewing experience. 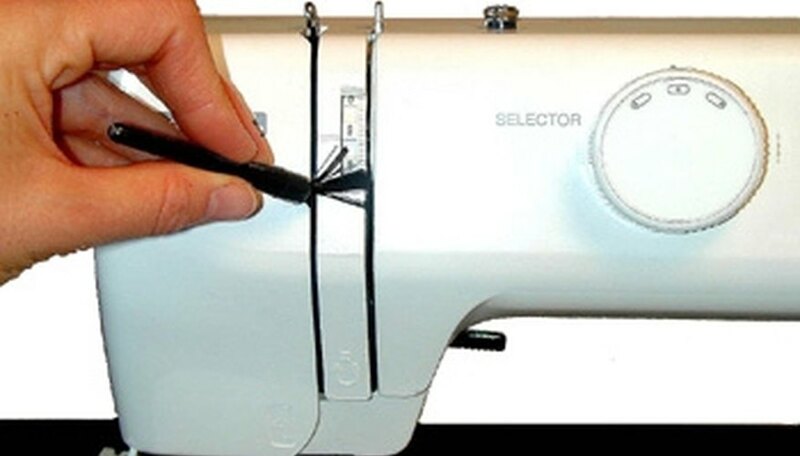 Unplug your sewing machine and remove needle, thread spool and bobbin. Remove lint from the exterior of your machine by gently wiping the machine casing and exposed parts with a soft, lint-free cloth. Remove stubborn dirt stains with a dampened cloth and mild soap. Use a small lint brush and/or canned, compressed air to remove lint from thread guides and other tight areas. Move the slide plate toward you as far as it will go and remove throat plate as per instructions found in your owner's manual. Some throat plates can be snapped out of position, others must be unscrewed. Remove lint from area in and around bobbin case with canned air and/or lint brush. Remove excess lint from in and around bobbin case by removing bobbin case as per owner's manual instructions and using tweezers to extract lint that has been packed under or around bobbin case. 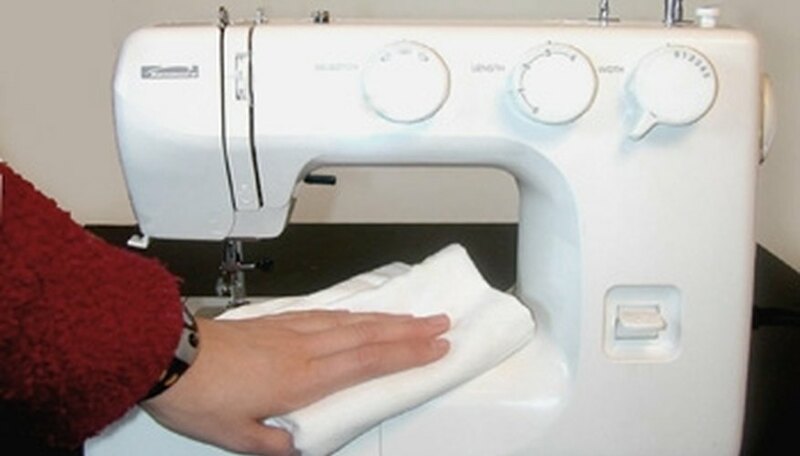 Place one or two drops of machine oil in oiling points indicated in either the owner's manual or on the sewing machine. The areas of your machine that require oiling will be determined by the machine model. Work in a well-lit area. Substitute a cotton swab for a lint brush. After oiling your machine, stitch some scrap fabric. Any excess oil will be deposited here rather than on the fabric you are using for your next project. Have your sewing machine professionally serviced at least once a year. 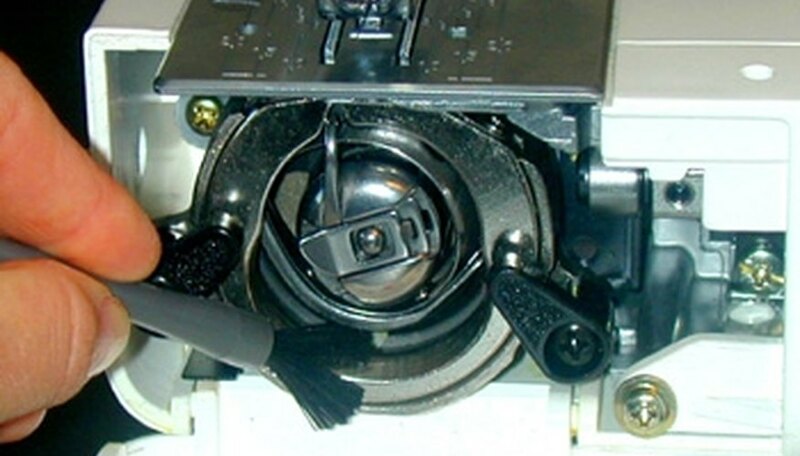 Check your owner's manual before removing any screws from your sewing machine. Some areas of your machine require servicing by professionals only.